Back again! Goodness, perhaps I'll get back into this regular blogging malarkey and actually return to sharing my makes (...but let's not hold our breath!). Today's little festive number is a Deer & Doe patterns maternity Givre dress. 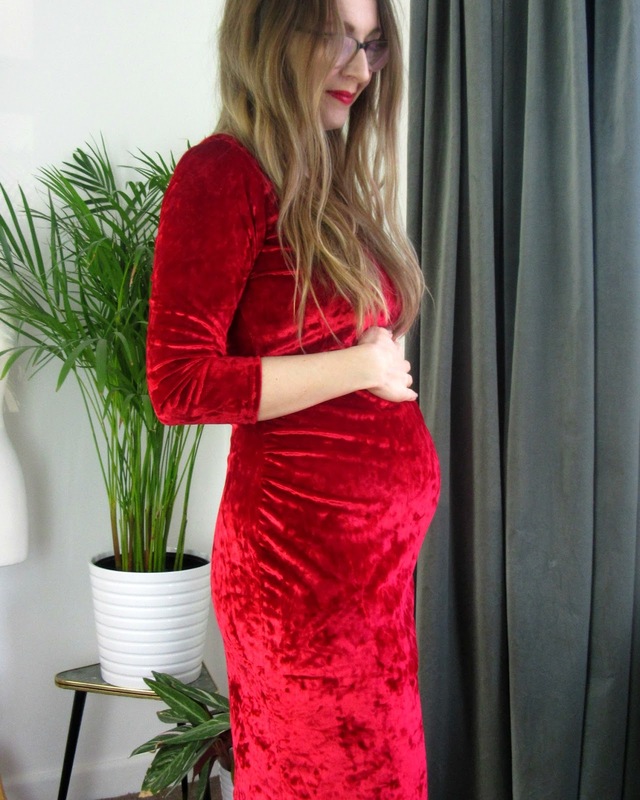 If you missed my recent store update post, you may not have picked up on the fact that my partner and I are expecting our first child in May this coming year. That makes me very nearly 20 weeks pregnant. Naturally we're really excited but my wardrobe is posing a bit of a challenge right now as I've outgrown the vast majority of my clothes but am a little way off of maternity RTW fitting properly. What's a girl to do? ...Make stuff. The fabric is a weighty crushed velvet lycra at £5.99 p/m from our local Fabricland. 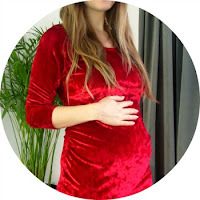 I wanted something really festive as this dress was predominantly made for my piano students' Christmas concert, but also to wear throughout the Christmas celebrations. I had green in mind however the only option was a hideous 'astroturf' shade of inferior quality velour ...so red it was. 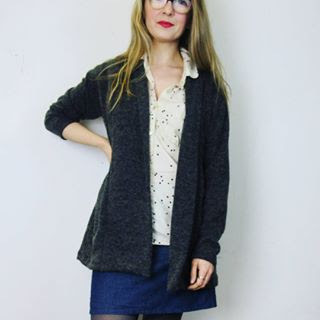 I love this pattern, the two belly size options are a godsend and the sleeveless view enables you to essentially make your entire knit maternity essentials for all seasons. I'm eyeing up some stripe jersey for a spring knit dress as we speak. Their PDF format is brilliant, the best I've experienced to date. Sticking it together was a breeze. Thanks to the super clear markings I didn't even bother to trim my A4 sheets, I simply used a glue stick to layer them saving a huge amount of time and faffing (easiest with lightweight GSM paper) -though fitting my new (and alien to me!) body shape was less straightforward! I was unsure of sizing due to my changing body but cut a 40 graded to a 38 around the neckline and shoulders as a starting point. Added a FBA of approx 1cm though could've done with a little more, rotating out the dart created (check out Maria Denmark's blog for a tonne of great resources on that front). After baste-fitting I removed a wedge of about 1" in total from the centre back waist by slashing the pattern at waist and hip line and pivoting the pieces (by keeping them aligned at the side seam, the extra length added at the waist was negated by the overlap at the hip). I also narrowed the sleeve and lowered the neckline by at least an inch or so as the coverage with my new larger bust size felt unflattering in this fabric. There was fabric pooling at the back waist (improved by the removal of the small wedge above) which could be further investigated. 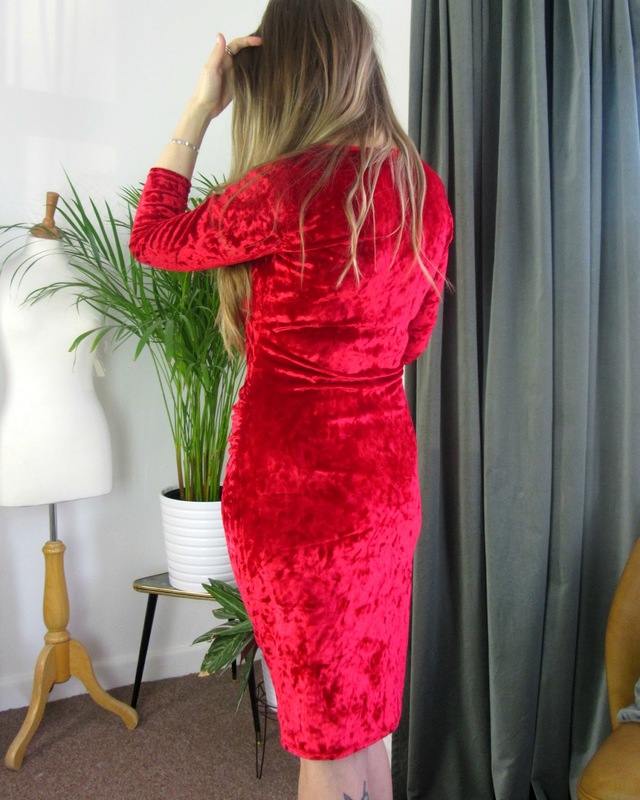 I think a small sway back adjustment alongside a little extra room at the hip to stop it riding up would solve this but considering how little wear this garment will see before it no longer fits and needs re-purposing ...life's too short! Construction wise it's easy peasy if you've dealt with knits before, this lycra didn't even need seam finishing, and the hems were a quick twin needle job. For a toile-less fit-as-you-go wonder I'm really pleased with how this turned out and it's really comfy. I'm a firm believer in 'Good Enough!' when it comes to sewing as it's easy to drive yourself insane fussing over the smallest imperfections. That said if anyone has an outrageously disproportionate bust to shoulder ratio I'd love to hear your fitting tips for managing this. Send me your teeny shoulder/large bosom pro-tips as it's only going to get worse from here! Congratulations! This is such wonderful news. 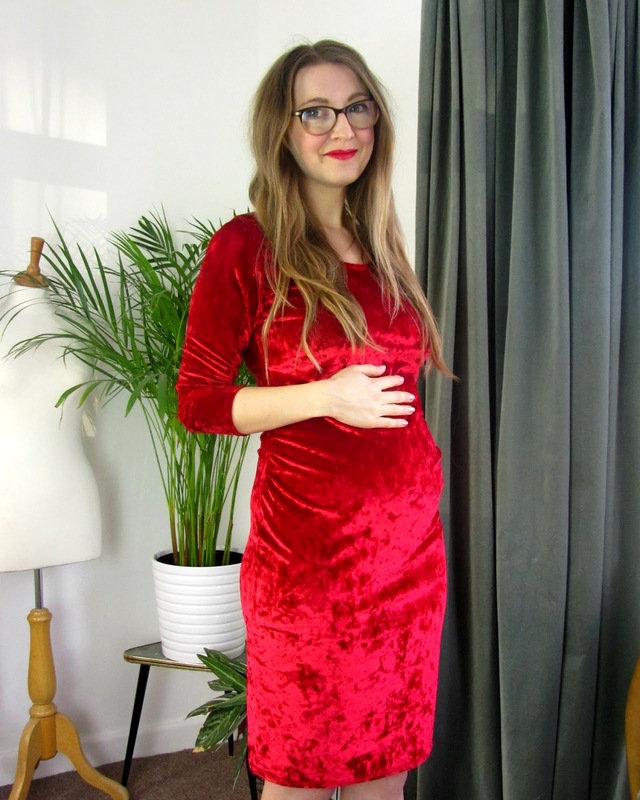 Your dress is absolutely stunning, a beautiful maternity dress and absolutely perfect for Christmas! I'm so happy to see you'll be posting more on your blog and I'm looking forward to seeing the advancements you make with the new shop!